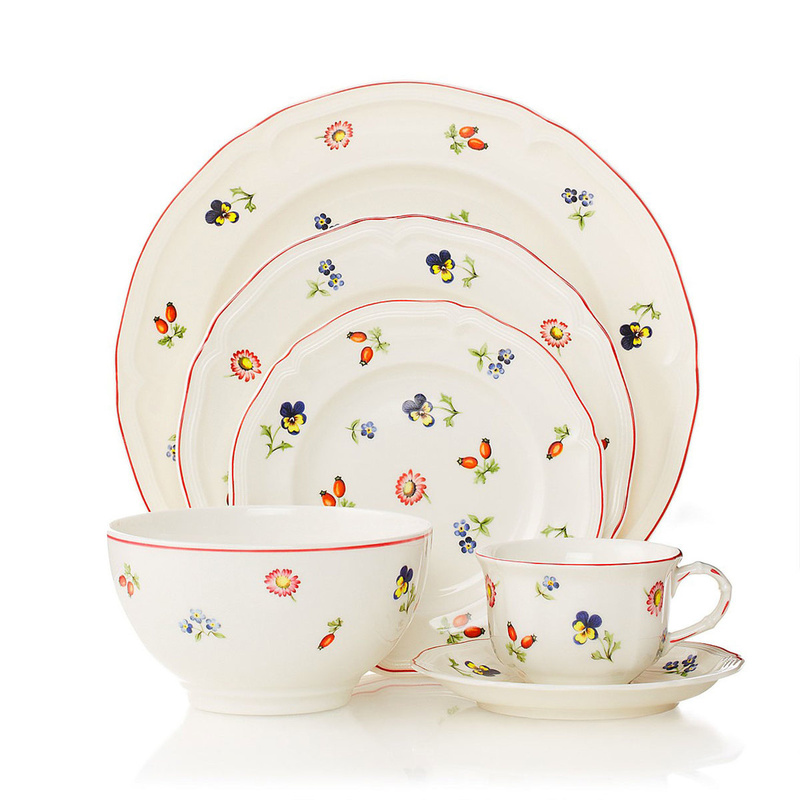 A small dish covered in some brightly coloured flowers, to sip our cup of tea in the nature. The saucer of our cup has just broken, and we are desperately trying to find a worthy replacement. But not all saucers are fine. In fact, our cup is completely covered in flowers, creating a rainbow of colour. For this reason, the saucer we need must have the same subject: nature and flowers. What do we have to choose among the variety that the market offer to us? 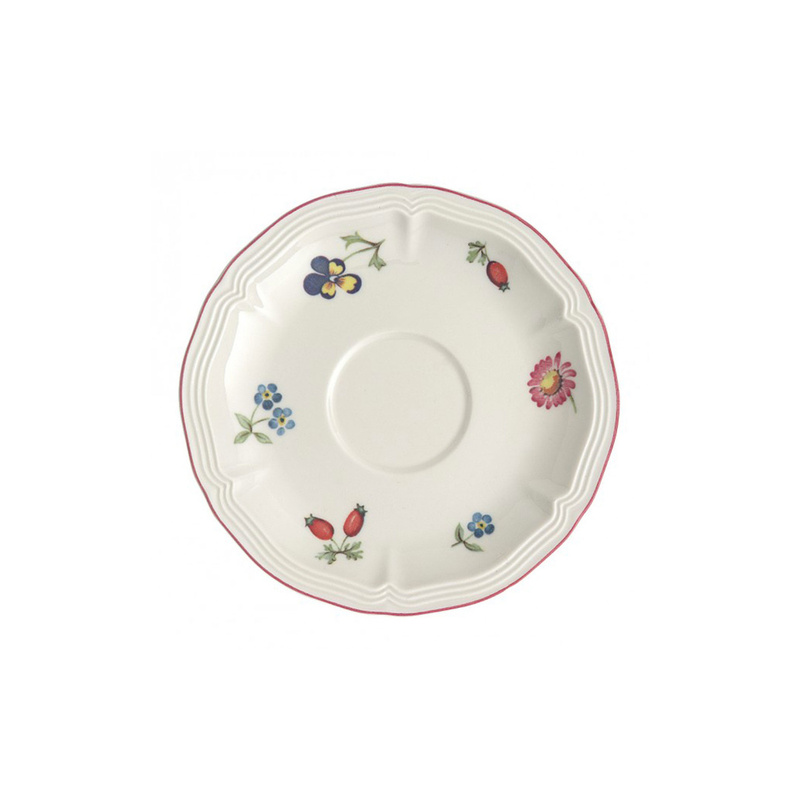 Villeroy & Boch, a German company which mainly produces porcelain tableware, has decided to sale this single dish with a very particular decoration. 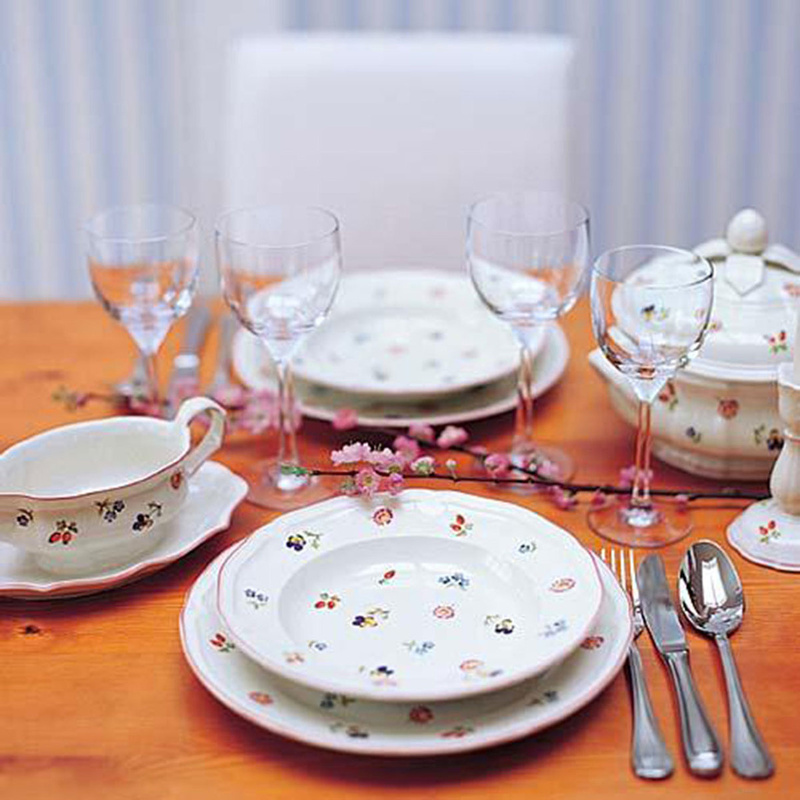 In fact, there are several flowers geometrically positioned throughout the saucer, so as not to be covered by the cup. On the edge there is a red stripe that creates a pleasant contrast with the green stems of the various plants depicted on it. In addition, always on the edges, there are some grooves, which have two purposes: one is the visual effect that creates a sort of movement all around the saucer; the other purpose is practical, given that, thanks to these grooves, you may have a more stable and comfortable grip. At the center of the plate there is a lower part that allows you to put down the cup without worrying about any shifts of the same while you sip your drink. The material, as mentioned above, is high-quality porcelain. Each treatment applied to the surface is harmless to anyone, to avoid any discomfort caused by the contact with the mouth. Despite the excellent craftsmanship of the object, it is strongly recommended to keep the product out of reach of children who could injure themselves or swallow the fragments resulted from a possible breakage. This saucer is particularly efficient when combined with the cup created ad hoc by the same company. This does not mean you can not use other cups. In fact, thanks to the modesty of the decorations, any cup can be combined with it.